More than 200 supporters wait for Gov. Eric Greitens to arrive at an anti-abortion rally at the Missouri Capitol. 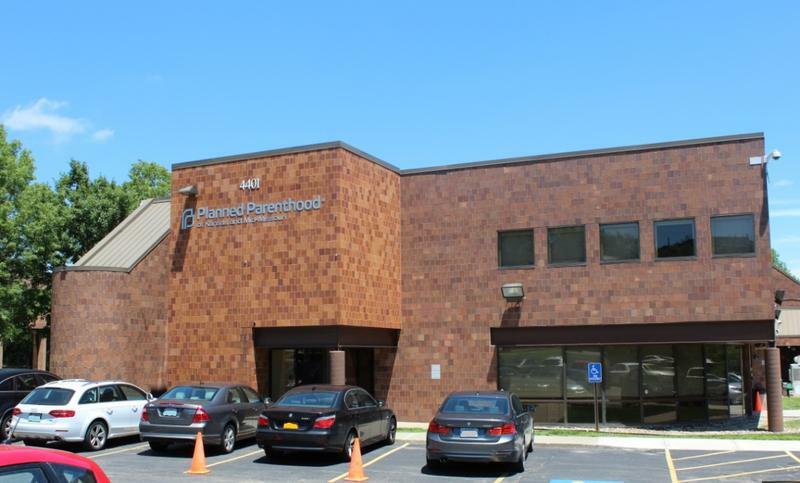 The Senate bill would nullify St. Louis' ordinance banning discrimination in housing and employment based on "reproductive health decisions," such as abortion or pregnancies. It also would give the state's attorney general new authority to prosecute violations of abortion laws, but only if local prosecutors don't act first. The second special session of the year will resume when the House convenes sometime next week. Republican Gov. Eric Greitens called the session, saying he was partly motivated by a federal judge's ruling striking down some state abortion regulations. On the third day of the Missouri legislature’s second special session, abortion rights supporters and opponents gathered to make their voices heard in the Capitol. But the Missouri Senate sat Wednesday. Instead of convening in the morning as scheduled, they negotiated behind closed doors on a smaller-than planned abortion bill that Republicans hope Democrats won’t try to filibuster. 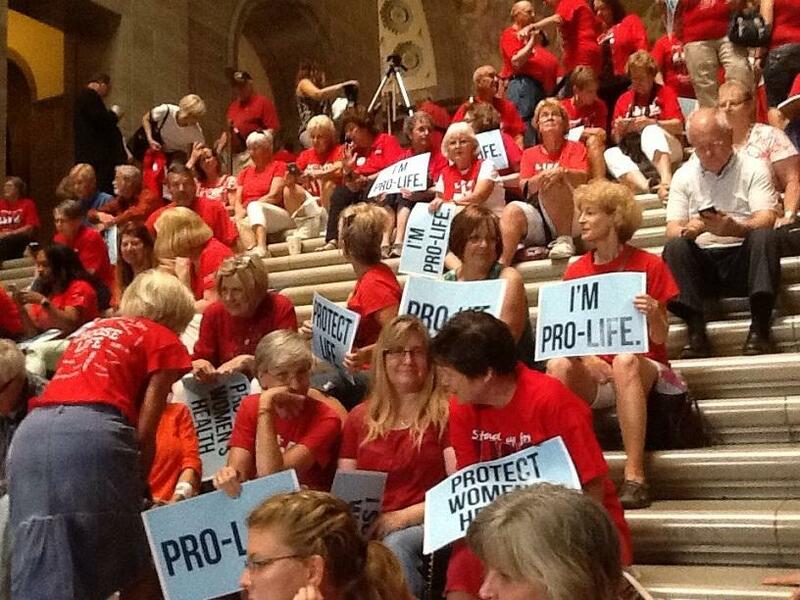 More than 200 abortion opponents cheered on GOP Gov. Eric Greitens as he called on lawmakers to strengthen regulations on abortion providers and overturn a St. Louis ordinance designed to shield women from job and housing discrimination based on their reproductive choices. Greitens told the crowd at the rally, which was organized by the nonprofit that’s run by his campaign staff, that the ordinance makes St. Louis “a sanctuary city” for women seeking abortions. Earlier in the day, more than 150 abortion rights supporters criticized the special session and demanded lawmakers protect women’s health care. They also called on the legislature to expand Medicaid and add the LGBT community to the state’s anti-discrimination law. Universalist-Unitarian minister Molly Housh Gordon of Columbia said they have a message for lawmakers. “We did not send you here to take good reproductive health care away from the women of our state. We sent you here to insure that the ‘welfare of the people shall be the supreme law’ in Missouri,” she said, referencing the state motto. 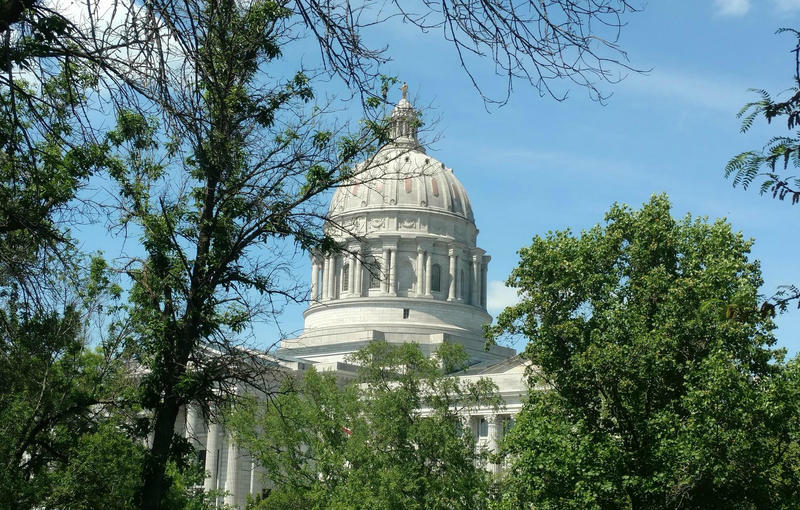 The Missouri House isn’t scheduled to convene until after Sunday, though a House committee conducted hearings Wednesday on four abortion-related bills, a stop-gap measure in case the Senate is unable to pass its bills this week. Amidst Missouri lawmakers' ongoing special session focused on abortion, there will be competing pro-life and pro-choice rallies at the state capitol Wednesday. Republican Gov. Eric Greitens is hosting what his office calls a “Pro-Life Celebration” in the capitol building Wednesday afternoon. Immediately prior to that gathering, a coalition of Missouri pro-choice groups will also hold a rally. Organizers of what is being called the “People’s Session Rally” say it is specifically a response to the special legislative session called by Greitens to discuss abortion issues.